We are a cafe and bakery. Dine in or carry out. We make homemade items for our menu and have a baked goods display. We offer catering and welcome orders for baked goods. 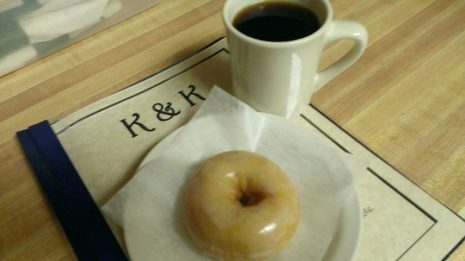 We offer breakfast and lunch on our menu and do daily specials. We also do breakfast all day. Fridays after 4pm our specials are Prime Rib and Catfish dinners. We are on seasonal hours. We are currently ONLY open for donut orders on Sunday.